Life starts when school finishes. Make this occasion a memorable one by arriving at your prom in style with a prom hire car from Limos & Cars™. Therefore, choose from our luxury cars: 8 seater Chrysler ‘Baby Bentley’ limousine, a 16 seater Hummer H2 limousine or Range Rover Vogue. 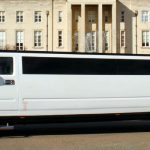 Limos & Cars™ prom limo hire package includes collecting you from home in one of our stylish limousines stocked with complimentary soft drinks. Most importantly, we will pick you up with plenty of time for you to get to the leavers’ ball. You’ll arrive at the front door of the event in true VIP fashion with your chauffeur opening the doors. Meanwhile, you’r welcome to take pictures inside & outside the prom hire vehicle. Thus, when you are ready to go into the venue, the chauffeur will depart as you enter the ball to stares of envy and disbelief. After the leaving ball we will collect your friends and safely drop them back to their home. We pre-screen and CRB check our drivers so you can be sure that our passengers are escorted in a safe environment by a trusted chauffeur. The driver will have a nominated contact – possibly a parent/responsible adult – whom the driver will keep updated with arrival information. Passengers are welcome to take pictures of the vehicle and use it as a background for group pictures. Starts with a collection from a secure agreed location – multiple collection points are also available subject to arrangement. A full hour’s “party” cruise of choice allows the passengers to have a ride and also gives them the perfect opportunity to take pictures. Drop off at event venue and parents/carers to collect the passengers at end of event. We can also arrange collection from the event for the return journey to a single agreed drop-off point, or multiple drop-off points, subject to arrangements. So, contact us today to get more information, or fill out a booking request form to get your prom hire car booked today. It does not matter if you are going as a group, couple or on your own we will have the vehicle for you. Certainly, all you have to do is to simply decide on the prom hire vehicle you would like and contact us to book it. However, if you are unsure which prom hire car to choose, then a member of our team will happily help you to choose the right prom vehicle for your night. Additionally, we provide the right prom hire vehicle based on your personal preferences and the number of people in your prom party. If you can’t see the specific type of Prom Limo or Car that you want, then feel free to call us on 020 8988 0004. All of our Prom Limo Packages can be arranged to suit your requirements. Certainly, with decorations of your choice, soft drinks and non-alcoholic champagne in the mini bar. Meanwhile, your choice & control your music by connecting your phone or iPod via AUX or Bluetooth to the sound system. We will do our best to give you the best Prom Car Service possible for your extra special day. Above all, your satisfaction is of utmost importance and all of our team will do their best to ensure your prom night is stress free. Ultimately, book your chosen prom limo, we will take care of the rest. Thus, Get in touch with our Prom Cars team today on 020 8988 0004 & book your Prom Party Vehicles. Or use our online booking form. 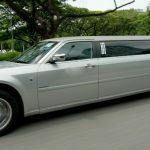 At Limos & Cars you are not just hiring a Limo from the average limo hire company. You are creating an experience that you will remember for a long time to come. © 2019 Limos and Cars Ltd. Registered in Enlgand and Wales. Company Number 9642106.